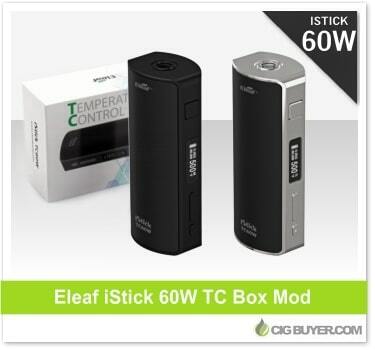 The first iStick to use a replaceable 18650 cell, the Eleaf iStick 60W Mod is the latest product from Eleaf; offering up to 60W of output power with temperature control. It supports standard kanthal coils in VW mode, or Ni200 and Titanium coils in TC mode, firing between 200℉-600℉ at resistances as low as 0.05 ohms. With a large OLED screen and spring-loaded SS 510, the iStick 60W Mod is packed with features and the removable side plates not only allow you to quickly swap out batteries, but also switch colors.